98% of new players recommend this casino 38 new players chose this casino today! Download the Heart of Vegas Slots app and discover one of the most popular social Casinos on the AppStore and Google Play! On this outstanding Casino app by Product Madness (a company owned by Aristocrat Games), you join 10,000,000+ other active players - and that's if you only count the Android users! We couldn't find the official AppStore stats for Heart of Vegas, but it wouldn't be shocking if we had to double that number and reach a total of nearly 20 million players. What makes Heart of Vegas special is that you get all best Aristocrat Slots for free right on your mobile. You can play all the best Vegas Slots anytime, anywhere. Download the app from CasinoSmash today to collect 2,000,000 Heart of Vegas free coins as your first, immediate bonus! This bonus alone should be your main reason to give this amazing collection of Aristocrat Slots a try. With 2,000,000 Heart of Vegas free coins from the get-go, you can play all the Slots you want and still not spend a dime. And that's not the only freebie you get. This game has no losers, so don't forget to launch the app to collect the free coins you deserve, every single day. If you are lucky, you can rake up to 250,000 Heart of Vegas free coins in one shot! Need More Free Coins? Try This Hack! And here’s one more way to play for free at Heart of Vegas with even more free coins. …And then you just need to trade gifts with your friends to get even more bonuses! The Casino allows you to collect up to 100 gifts a day, meaning you can get a lot of free coins on Heart of Vegas. Like many other Social Casinos, you find a special VIP Program as part of the Heart of Vegas Slots experience. Every time you make a purchase, you collect points. When you have enough points, you move up a tier. All VIP members get prioritized customer support. Silver, Gold, and Platinum members get to participate in special events with the possibility to win more coins. The Casino reevaluates your status every three months. Heart of Vegas features one of the biggest Slot selection when it comes to free Casino apps for US players. Just open the lobby and you’ll see 80+ Casino Slots games (Jackpots Slots included). The games are surprisingly diverse, varying from simple fruit machines to fancy modern Slots. Featured Slots. 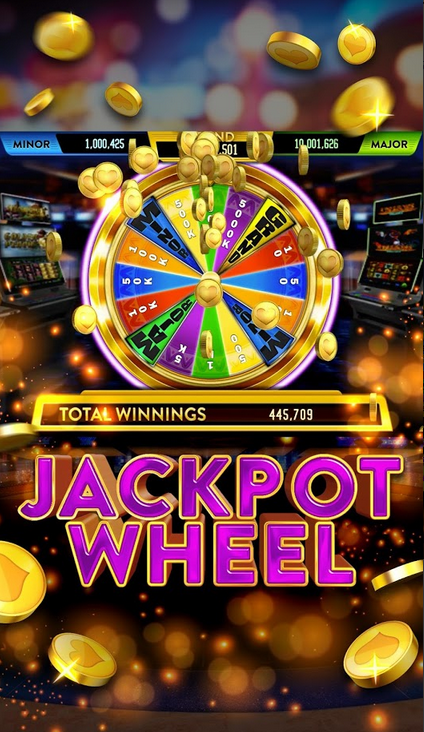 Here, you find the Casino games loved by millions of players all over the world, including Queen of the Nile, Sun & Moon, Buffalo, and Miss Kitty. Prepare for extra spins, bonus symbols, and lots of opportunities to win. Jackpots. This is the section where you aim big. Get ready for 29 jackpots games that pay you millions of coins. 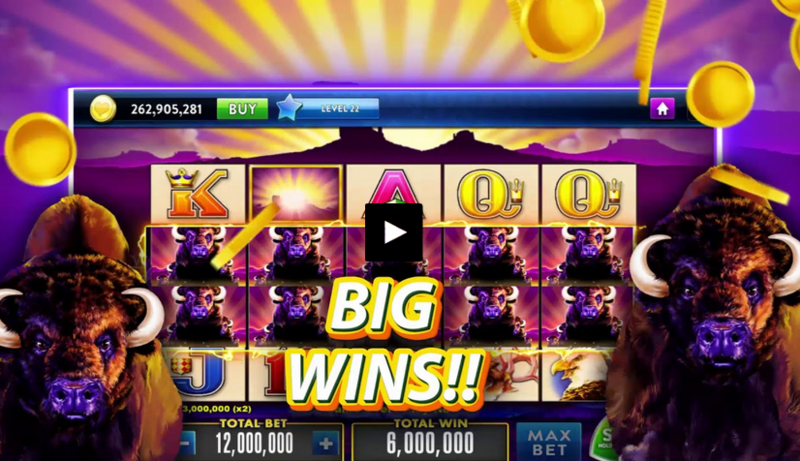 Play Slots like Big Red 2 and Cash Bull. High Roller Room. High stakes, high rewards. You unlock these seven games only when you reach level 12. The Slots at Heart of Vegas are suitable for players with all kinds of stake preferences. 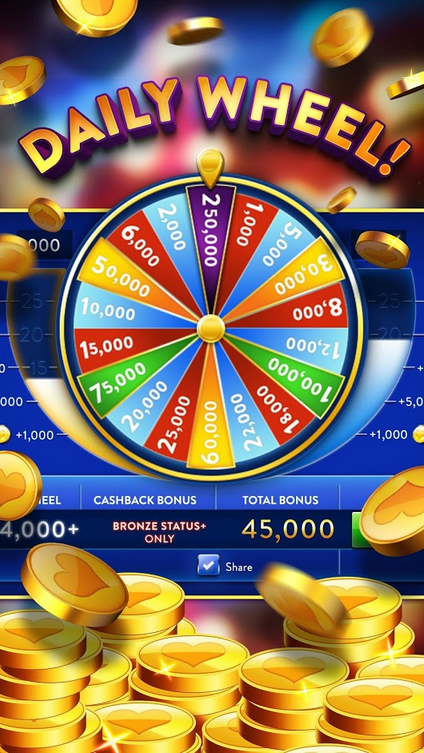 You can bet as low as 6,000 coins or set your bet sky high with 250,000+ coins. Of course - the higher your bet, the higher your wins can be. Heart of Vegas is available to users of all kinds of devices (mobile included). You can access it on PC and Mac as a Facebook app, or download it for iPhone, iPad, Android, and Kindle tablets. If you encounter any questions while playing Heart of Vegas, you can always submit a support ticket. Alternatively, you can browse through the app’s help center. As the Casino is also available on Facebook, I tried to use the instant chat function. However, I only got an automatic reply to submit a ticket. Let’s hope Heart of Vegas launches a live chat in the future. With 2.1M players on Facebook and 10M downloads on Google Play, you can be sure that Heart of Vegas Slots has reached the hearts of millions of players. 80+ Slot machines, lots of free coins, and a beautiful design put Heart of Vegas on a list of the best Social Casinos for American players.